TJ Maxx, TK Maxx, Marshalls, Winners...whatever you call it in your country, it's one of my favorite places and I spend entirely too much time (and money) there. Last April I started working as an associate at TJ Maxx so now I get to see all of the behind-the-scenes work that goes into the store, along with a lot of the new products that comes in almost every day. This is really the key to finding the good stuff at the store: you have to be there often, otherwise it's gone. I can't tell you how many times I've seen something great while on my shift and then had it be gone by the time I could buy it! For my store, we get a truck of new items in on Mondays, Wednesdays, and Fridays. The new products are usually starting to go on the floor by that afternoon, so that is the best time to shop at my store, especially for beauty products which often get pushed first. Bigger stores probably get trucks more often than my small one. Also, don't forget to check the beauty section in the checkout line! If someone even somewhat makeup-savvy is putting the products out, they probably save the best for that area. At my store we put most MAC, Stila, Bite, Marc Jacobs, Kat von D, and other high-end brands there if they will fit. 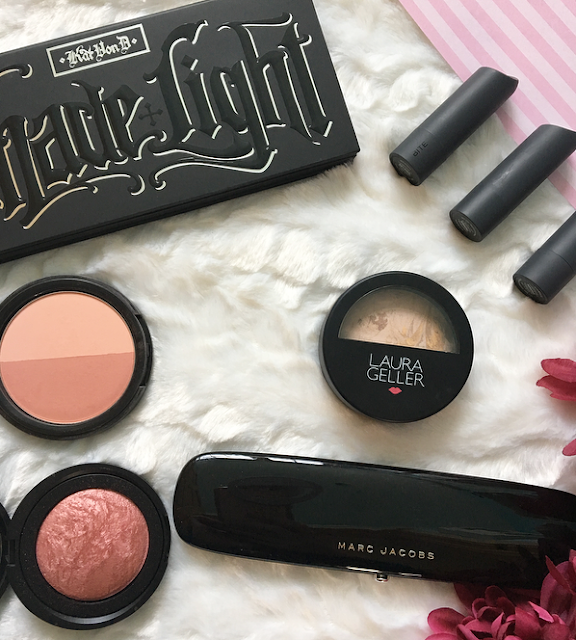 Now let's get onto the steals that I've found at my TJ Maxx! When we got these palettes in my jaw literally dropped! The Shade and Light palette is one of the most popular contouring palette on the market and it's one of the only ones that has actually appealed to me. I believe they are repackaging this product, which is why they were on sale in the first place. I'm perfectly happy with the old packaging as long as the formula is the same so I snatched it up! It was a great deal at half the regular price and I can't wait to use it more. Another Kat von D product that I found and fell in love with is this Shade and Light blush, which has been discontinued. It includes two tones, a dark peach and a lighter pink, and I love them both separate and swirled together. I would have payed full price for it! 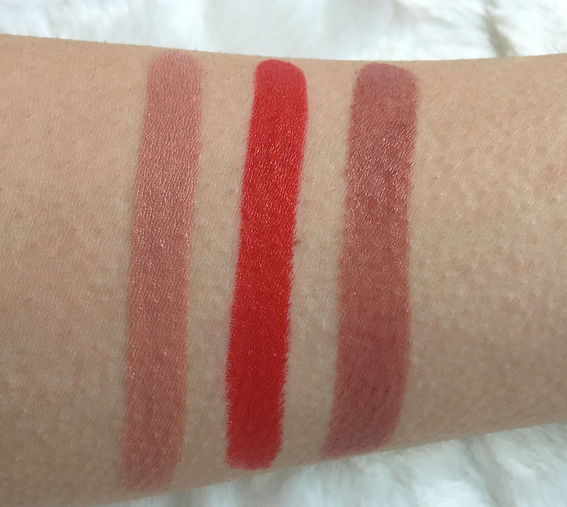 I've found several different Bite lipsticks for less than $10 at TJ and I pick up every shade that appeals to me--so far two nudes and an orangey-red. I'm obsessed with them. The formulas are super comfortable, smell/taste amazing, and are food-grade quality. Marc Jacobs is one of the few luxury cruelty-free beauty brands so I want to buy more from them. That started with this gorgeous purple-toned eyeshadow palette, which feels so high end! 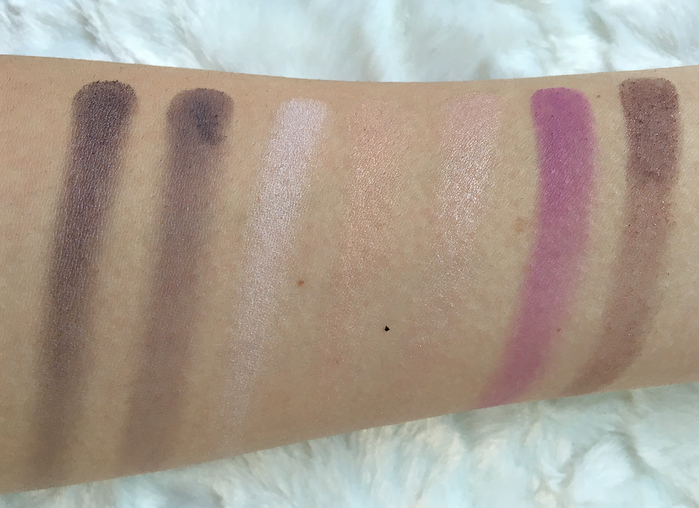 I love purple tones on my brown eyes so this palette has a great variety. 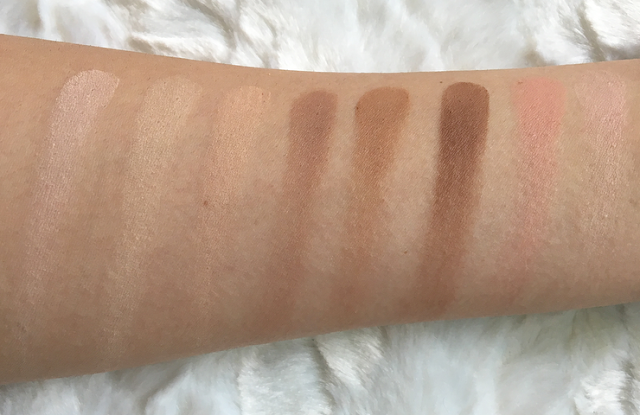 The mattes are impressively pigmented, though the shimmers need some work in my opinion. I was working when I came across this set and immediately set it aside for myself (technically against the rules, but I don't do it often!) 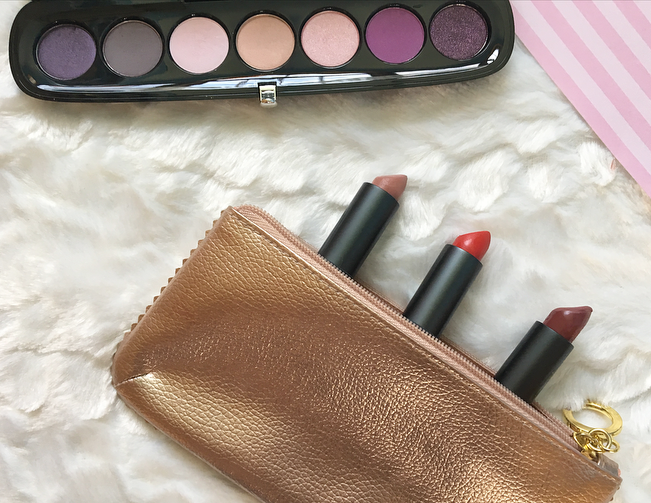 It included a full-size Berry Trifle blush, a full-size French Vanilla highlighter, a full-size powder, a mascara, a lipstick, an eyeshadow duo, and two brushes for only $15. I'd never tried Laura Geller and that seemed like the perfect opportunity to! I gave away the brushes and the lipstick but I've kept everything else and I'm pretty happy with them. The baked formula is really stunning. Do you go to TJ Maxx often? Have you found any exciting items there? 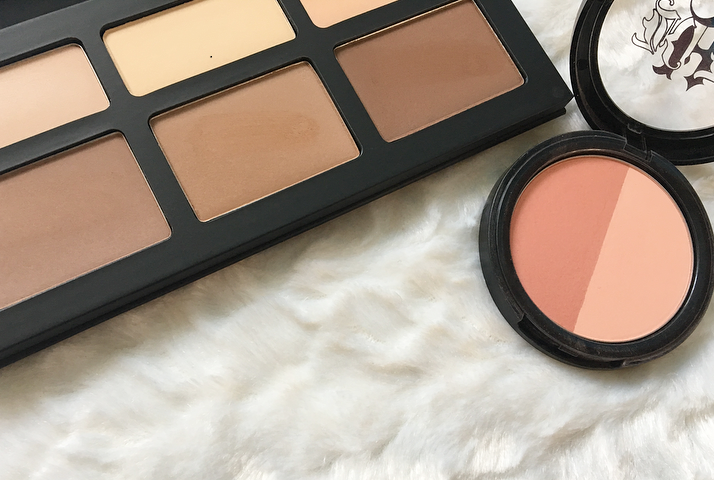 13 comments on "The Best Makeup I've Found at TJ Maxx"
We have Winners which is very similar. I've found alot of discounted makeup and I love checking every week to see what has come in. I hope to see the Kat Von D Shade and Light Contour Kit. Oh you found some good things ! I just picked up a Bite Beauty set from there and last month I found the Kat Von D palette. You got some great deals! :) I also like hitting up Nordstrom Rack for high end makeup as well. Wow these are great finds! When I lived in Canada, Winners only ever had weird old crap. And we don't have anything similar in New Zealand, unfortunately! Wow that's crazy! I wish TK Maxx stocked so many higher end makeup products. Whenever I go to have a browse there, it's very hit and miss. Definitely a good place to go for the discounts though! Over here we have TK Maxx, and our makeup pickings are never as good! What a fab collection! 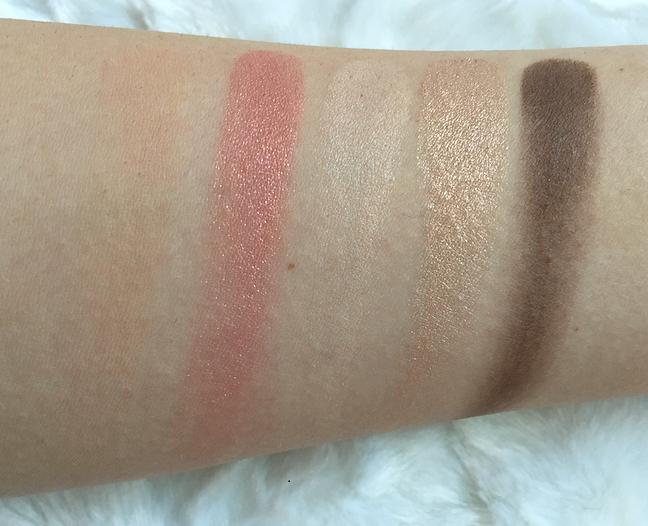 The Marc Jacobs palette is so pretty, I love the swatches! I wish we had big stores here that carried all these brands but we have only Debenhams (that it is soooo expensive) and some other local beauty stores. Wow, I'm impressed that you found all of these there! I need to pay closer attention to the beauty section the next time I go!